Swimming pools are fun and exciting, and almost everyone desires to have one in their backyard. When thinking about expensive pools, most people would imagine it to be a fancy pool at the hotel or the nearest waterpark. Compared to a normal-sized swimming pool, these fancy pools are impressive indeed. However, they pale in comparison when matched up with some of the most expensive pools in the world. The most expensive pools in the world can take millions or even a few billion dollars to build. 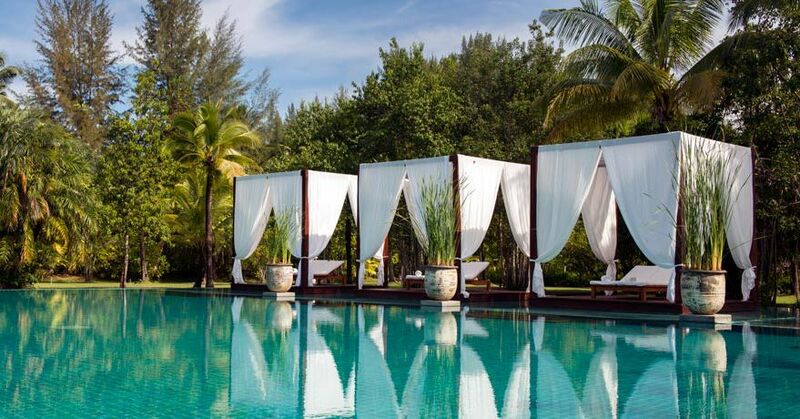 These mighty pools can usually be found at private residences or resorts throughout the world. The most surprising factor is that most of these pools are open to the public, allowing anyone to enjoy a luxurious pool experience. So, what makes these pools expense in the first place? These pools are designed in a unique and daring way to attract the attention of both tourists and locals. Next, they are built with expensive materials like marble, mosaic tiles, and other rich design elements. No expense is spared as far as construction of the pool is concerned. Other stunning features such as water control systems, waterslides, fountains, and other sophisticated technology can push the price of the pool even higher. There are several intricate features integrated into these pools, which makes their price climb even higher. 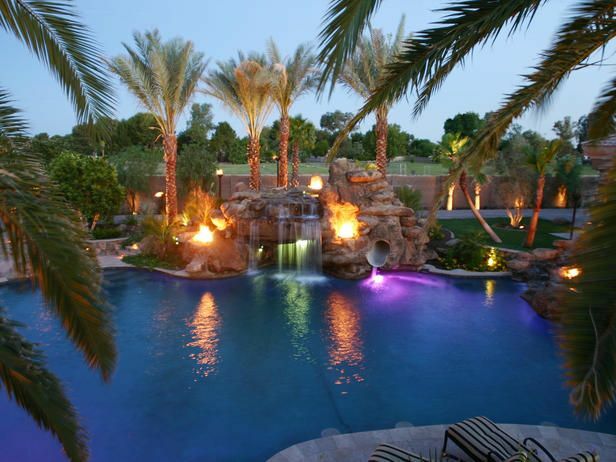 As a result of their luxurious appeal, expensive pools are becoming a luxury destination all around the world. Developers and owners build expensive pools to attract huge crowds who are looking to experience something out of the ordinary. People who are looking to experience the latest and greatest attractions in the world are generally the first visitors to land on these pools. So which pools are the one’s swimming in money? Take a look at the list to find out. 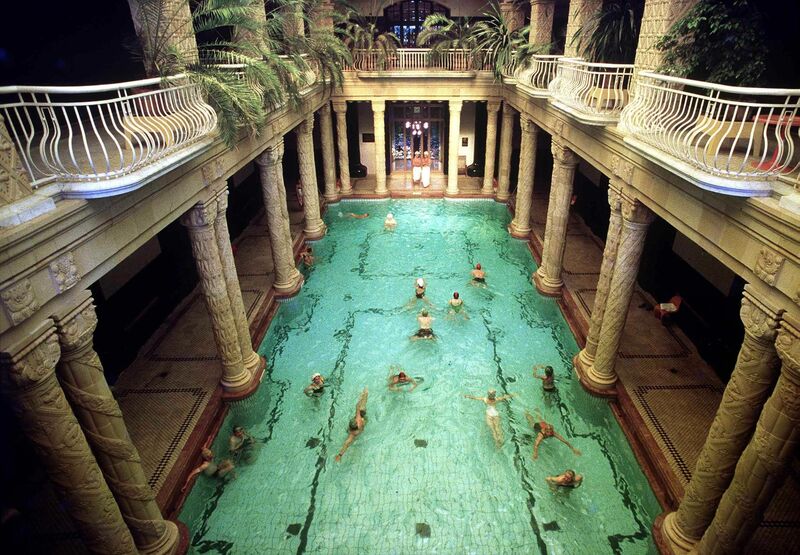 Gellert Thermal Baths are one of the oldest and most famous public bathhouses which are still in operation. The pool was built between 1912 and 1918, and its construction cost is hard to discern in modern times. It incorporates Art Nouveau design culture that was prevalent during the era. Measuring at over 7,500 square feet in area, the Gellert Thermal Baths features multiple pools, each catering to a different use. Some of its different pool areas include a children’s pool, an outdoor wave pool, and a luxurious Roman bath area. Crafted with the most exquisite marbles, mosaic tiles and pieces of art, the Gellert Thermal Baths is one of the most prestigious pools in the world today. The Gellert Thermal Baths are open to the public for a nominal fee. The Umaid Bhawan Palace was built to cater to the royalty in the Indian subcontinent. When its construction completed in the year 1943, it was the largest home in the world. More than 3,500 workers toiled day and night to see to it that this royal residence was completed. One of the most spectacular features of Umaid Bhawan Palace is the circular indoor pool located in its center. The pool is crafted in the classic Art Deco style, incorporating many royal elements in its construction. Since the bottom of the pool is covered with mosaic tiles depicting various Zodiac signs, the pool is also known as “Zodiac.” The ceiling of the room is covered with one-inch thick gold tiles. Guests at the Umaid Bhawan Palace are free to swim in the pool. 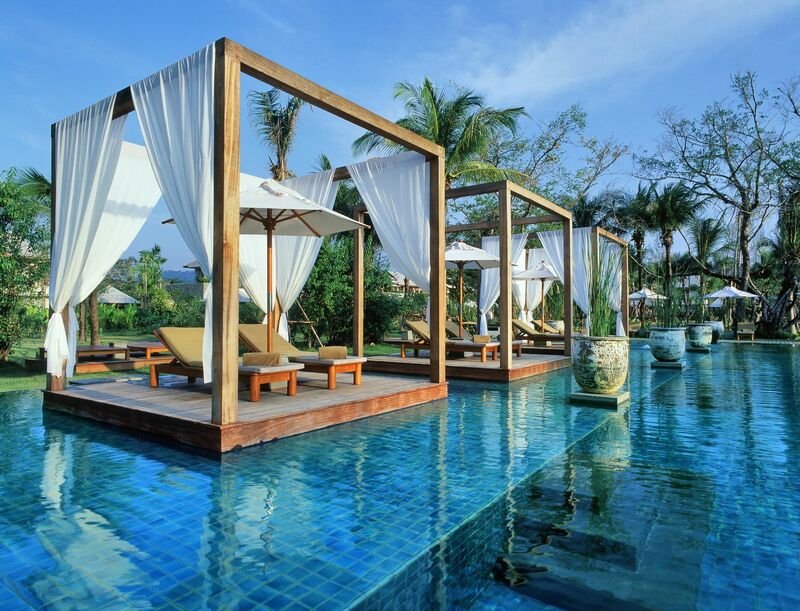 The Sarojin Resort in Thailand is one of the most luxurious resorts in the world, and has been consistently rated as one of the most luxurious small hotels in Asia. The resort was set to open in December 2004, but it had to be rebuilt after a tsunami destroyed most of its property. It opened eight months later to a resounding success. The pool area at the resort measures 269 square feet, and is just at the edge of Indian Ocean. Guests at the resort can relax in the floating pavilions placed within the pool itself, where guests can also schedule massages overlooking the ocean. The Kitchukov family pool is one of the most luxurious and expensive private pools in America. Built by Red Rock Contractors, the pool took five months to construct. Though the pool isn’t that big compared to others on this list, it features waterfalls, fountains and a waterslide. As the sun goes down, the pool area is lit with a stunning display of lighting all around it. One of the most amazing features of the pool is its ScreenLogic control system. With it, the family members can control various features of the pool from anywhere in the world with just a touch of the button. The family members can control the pool’s temperature, Jacuzzi and the lighting from anywhere, as long as they are connected to the Internet. Planning for some deep water action where you can practice diving? 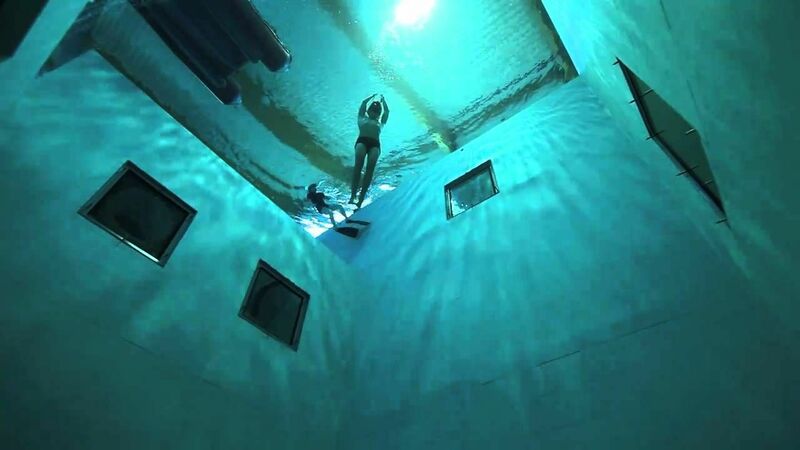 Then the Nemo 33 pool located in Brussels, Belgium is the perfect place for you to be. At a maximum depth of 108 feet, Nemo is the deepest swimming pool in the world. The entire pool holds an amazing 660,000 gallons of water, and it also includes various underwater rooms and tunnels to explore. Its construction took seven years to complete. Any certified diver can enter Nemo 33 by just paying a nominal fee, or you can enlist yourself to take part in diving classes at the pool. Built between 1924 and 1936, Hearst Castle in California is host to two of the most famous luxurious pools in the world. The outdoor Neptune pool measures 6,032 square feet, whereas the indoor Roman pool is considerably smaller in area. The entire pool area, including its furnishing and art took less than $10 million dollars to construct. Naturally, it would be hard to replicate the same today for the same price. Both the pools are designed to resemble Roman baths of ancient times, and they both incorporate marble and intricate mosaic tiles in their construction. Lev Leviev Residence is the private home of Israeli billionaire Lev Leviev. It is located in North London, which is a prime location for the rich to construct their homes. Inaugurated in the year 2008, it is the most expensive home in the United Kingdom. Naturally, a house that expensive cost a fortune to build. 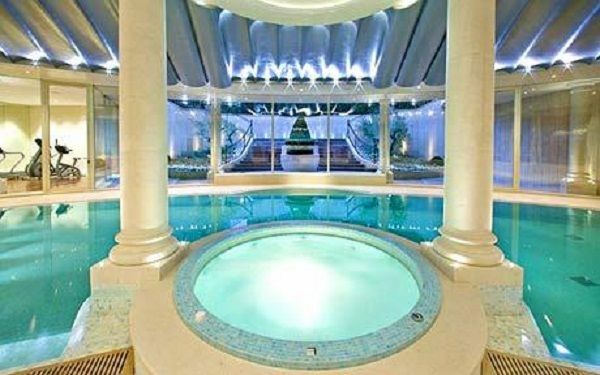 Leviev’s private residence is home to one of the most expensive private pools in the world. The swimming pool’s tiles are made of gold, and it also includes a spa and sauna to relax. When not in use, the retractable cover transforms the pool area into a spacious ballroom. However, since the pool resides on a private property, it is not open to visitors. Seagaia Ocean Dome is an indoor pool at the Sheraton Seagaia Resort. 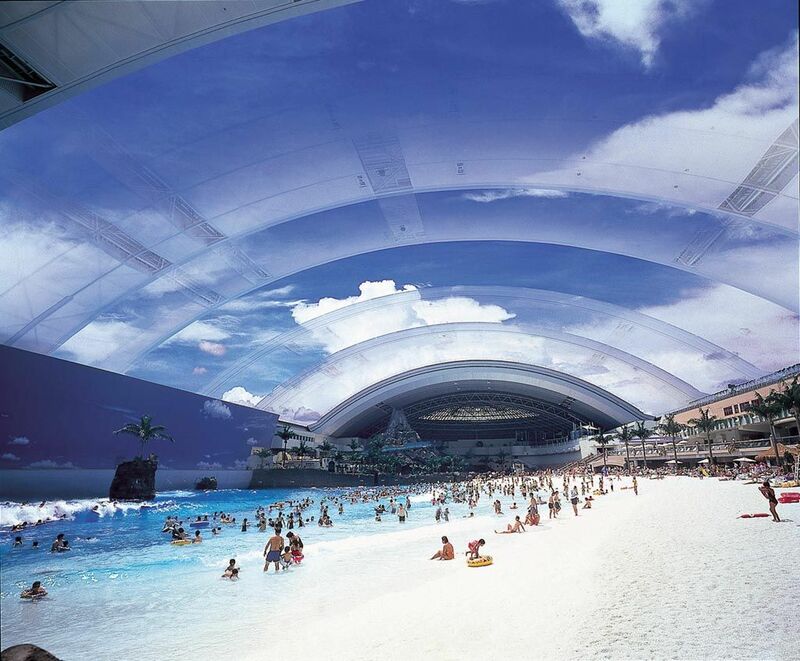 Located in Miyazaki, Japan, the Seagaia Ocean Dome was the largest indoor pool in the world. It was opened in the year 1993, but has faced many financial difficulties over the last few years. Currently, the pool is closed to the public due to renovation and restructuring going on at the resort. Initially, the pool was built to allow guests to swim inside the resort when the weather was too chilly outside. 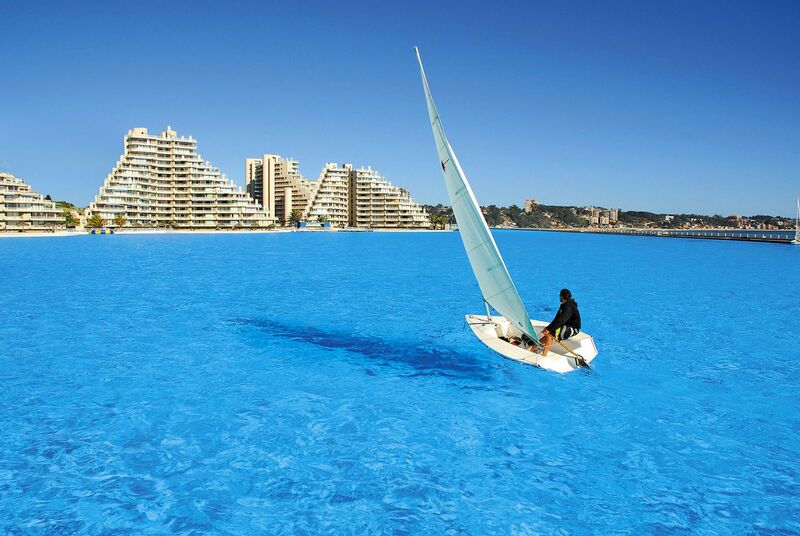 The pool is almost 100 feet long and 328 feet wide, making it look like a small ocean by itself. It even has a retractable roof that allows guests to catch sunshine on warmer days. Other notable features include an artificial wave pool, children’s pool area, a waterslide area, and an artificial volcano. The San Alfonso del Mar took five years to construct and cost a staggering $2 billion. Located in Algarrobo, a resort town on the southern coast of Chile, Sam Alfonso del Mar was ranked as the world’s largest pool by Guinness World Records in 2008. It is a part of the San Alfonso del Mar resort, and was inaugurated in the year 2007. The pool measures 1.3km in length and 20 acres in area; that’s enough space to sail a boat in. The pool uses an innovative salt-filtering technology to purify ocean water and fill itself. Though the pool isn’t open to the public, guests and residents at the resort can access it freely. The pool at the City of Stars resort complex is set to be the largest pool in the world when it completes its phase-I of construction. 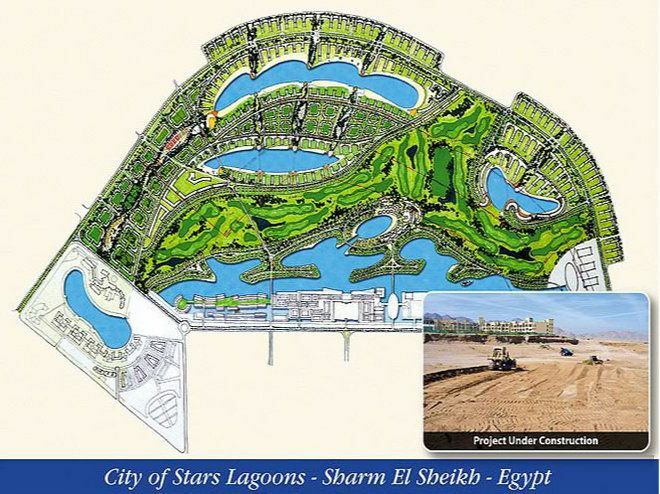 Located in the city of Sharm el Sheikh, Egypt, the pool at the City of Stars resort measures an impressive 21 acres in area. Crystal Lagoons, the builders of this pool, are the same ones who built the huge pool at San Alfonso del Mar. As a result, it will also use the same salt-filtering technology to source water from the ocean. When it is complete, the City of Stars pool will measure a kilometer longer than the current largest pool in the world.